Canada's Greenest Employers is an editorial competition organized by the Canada's Top 100 Employers project. This designation recognizes the employers that lead the nation in creating a culture of environmental awareness in their organizations. The higher education institutions that won this achievement in 2019 are the Durham College of Applied Arts and Technology, Humber College, McGill University, Mohawk College, Red River College, the Universities of Alberta, British Columbia, Calgary, Toronto and Victoria, Wilfrid University and York University. The part-time professors, who make up a majority of MDC’s total faculty, recently voted 587-to-573 in favor of forming a union with the Florida arm of the Service Employees International Union. The adjuncts hope to lobby for increased wages, health benefits and added transparency in course assignment. About 42 percent of the eligible voters casted ballots in the month-long election. The CVS Health Foundation, in partnership with the American Cancer Society and Truth Initiative, is awarding more than $1.4 million total to 82 U.S. colleges and universities to help them advocate for, adopt and implement 100 percent smoke- and tobacco-free campus policies, including limiting the use of e-cigarettes. In mid-March, adjunct professors at the university voted 112-to-68 in favor of forming a union with the Service Employees International Union. The successful vote means that Elon’s adjunct faculty can begin negotiations with university leaders over pay, benefits, working conditions and other work-related issues. 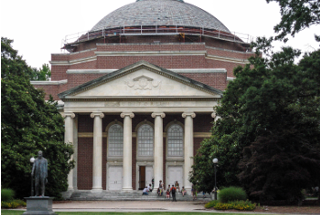 UVA recently announced that it will pay all full-time, benefits-eligible employees in its academic division and medical center a living wage of at least $15 an hour, beginning Jan. 1. Of the university's more than 17,400 full-time, benefits-eligible workers, 1,400 paychecks will be affected. (U.K.) The university received the accreditation from the Living Wage Foundation. 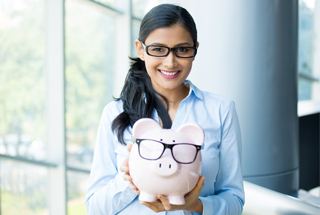 Accreditation by the Living Wage Foundation is reserved for employers that pay the independently-calculated living wage rates to all staff in the U.K., or those committed to an agreed timetable of implementation. The faculty at the Michigan college voted to unionize 145 to 24. The new bargaining unit is affiliated with the National Education Association. A total of 30 facilities department staff members have been trained to participate in the new bike program. They are replacing trips to meetings that previously would have included the use of a car with bike travel. 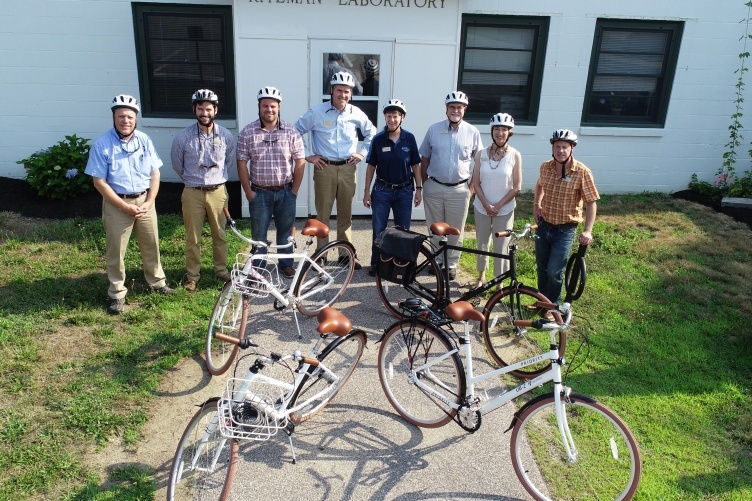 To support the program, UNH purchased six bikes, lights, racks, lock, and helmets. The facilities team plans to share information with new groups across campus that want to adopt the program. The 5,000-member union of researchers who are not faculty members or postdoctoral fellows filed representation petitions with California’s Public Employment Relations Board in September, with about two-thirds supporting unionization. The state board must certify the union before collective bargaining can begin. The university updated one of its policies this fall to prohibit smoking and the use of tobacco in and on all university owned or leased properties, facilities and vehicles. The university will offer support for students and employees who are current tobacco users and those who may be working toward quitting. With the aid of an $18,800 grant from the Truth Initiative, the community college will go tobacco-free on its three campuses by 2020. The college will create a Tobacco-Free Task Force to assess tobacco-related issues on campus, educate and engage students and staff on the need for and benefits of going tobacco-free, identify a plan to address treatment for those who are interested in quitting, and develop a tobacco-free policy recommendation. Penn State College of Medicine has received a nearly $4 million grant to promote healthy lifestyles and improve nutrition for Hispanic people living in nearby Berks and Lebanon counties. Awarded by the Centers for Disease Control and Prevention’s REACH project, the grant will help establish healthy nutrition standards, provide healthier food access at community venues and increase electronic benefit transfer acceptance. It will also help create a bilingual hospital-based breastfeeding program. The McGill Office of Sustainability has released two new resources that encourage staff to make sustainability a part of their everyday work life. One resource is for new employees while the other outlines many different ways to engage with sustainability practices, programs and initiatives on campus. The National Labor Relations Board announced recently that postdoctoral workers and associate research scientists voted 729-339 in favor of joining the Columbia Postdoctoral Workers-United Auto Workers Union. This is the first certified postdoctoral union at a private university. Effective Nov. 1, 2018, the university and its healthcare system will no longer ask individuals whether they have ever been convicted of a crime as part of the process of applying for employment. Duke will continue to conduct background checks on criminal history, government sanctions and driving records when relevant at the offer stage for finalists of staff and faculty positions who have been recommended for hire, although a criminal record does not necessarily preclude someone from being hired. As part of continuing efforts to improve the health and well-being of the Goucher community, Goucher College is a smoke-free and tobacco-free campus, as of mid-July. This policy applies not only to smoking any substance, but also to the use of e-cigarettes and any form of tobacco anywhere on campus. 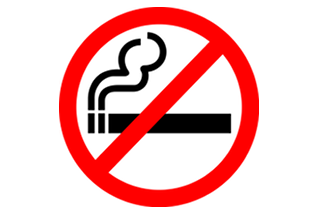 Taking effect June 2019, the college will implement a full ban on smokeless tobacco, cigars, cigarettes, pipes or other smoking material and devices, including electronic cigarettes. Following months of protests and meetings with administrators, non-tenure-track faculty members at the university won expanded health insurance benefits, dependent coverage, retirement and sick leave. As of next month, visiting faculty members with half-time or greater appointments for a year or more are eligible for the same university benefits as full-time university employees. 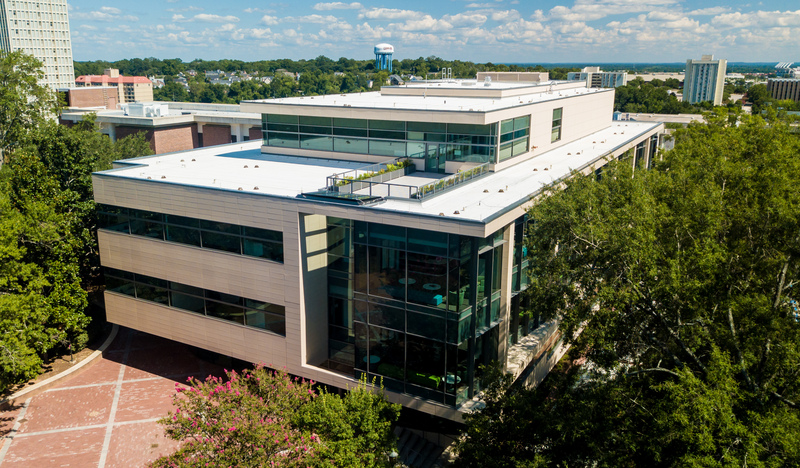 The Center for Health and Well-Being's sustainability features include a central automation system for the HVAC equipment, occupancy sensors for lights, recycled content materials, and water efficient fixtures in bathrooms and kitchens. In an effort to improve their working conditions, adjuncts who taught in the 2017-2018 academic year recently voted 3-to-1 in favor of unionizing through Service Employees International Union (SEIU). The U.S. Department of Education's 2018 Green Ribbon Schools program selected six postsecondary institutions, 46 schools, and six districts as honorees. They are being honored for their innovative efforts to reduce environmental impact and utility costs, improve health and wellness, and ensure effective sustainability education. 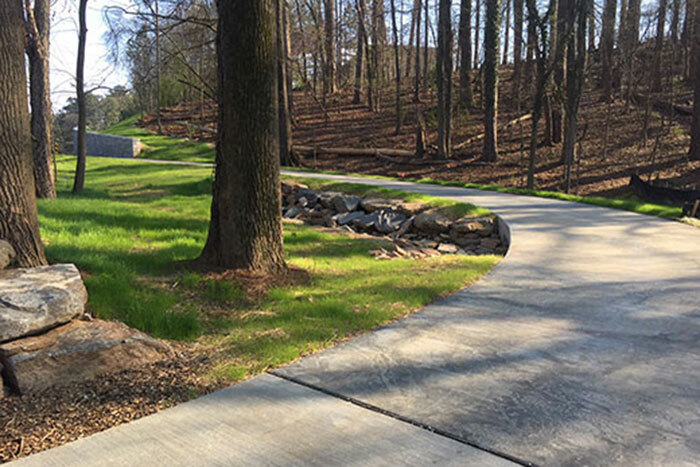 Developed through a partnership with Emory and the Path Foundation and opened on Earth Day, a new, 12-foot wide, paved bicycle and pedestrian trail opened that will eventually link Emory’s Clairmont Campus to a scenic, off-road trail system. The new trail replaces a previous section of narrow sidewalk. 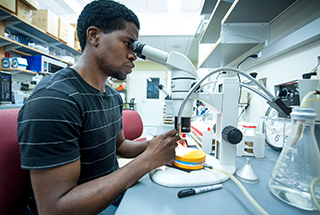 Postdoctoral researchers recently voted to form a union affiliated with United Auto Workers. More than 700 of the campus’ 1,100 postdocs participated in the election, with 89 percent of unchallenged ballots being cast in favor of unionization. In mid-April, the university placed 100 orange bikes on campus through a company called Spin, a bike sharing program that allows students to use the bikes for a small fee. The system works with an app that allows registered users to scan a QR code on any bike, which unlocks the bike for use. 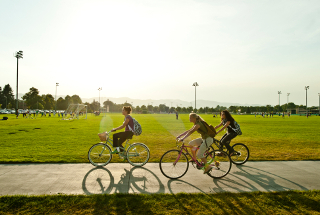 In the first seven days, nearly 1,000 individuals used the bikes for 2,082 total trips. (U.K.) The university is applying for formal accreditation from the Living Wage Foundation to reinforce its commitment to ensure salaries keep pace with the cost of living. The Living Wage Foundation announces living wage rates in the first week of November each year and, once accredited, the university will be committed to implementing that rate. Graduate students at Harvard University voted 1,931 to 1,523 to form a union affiliated with the United Auto Workers. The election, held earlier this month, was the second on the union issue, as a 2016 vote proved inconclusive. UNCW sophomore Victoria Rause founded a new student organization called PERK, People Encouraging Random Kindness, that seeks to help students cope with stress by doing encouraging things for fellow students, like distributing notecards with nice thoughts written on them or passing out candy, all while teaching students to look for opportunities to promote kindness and rethink the way they view their perceived obstacles. 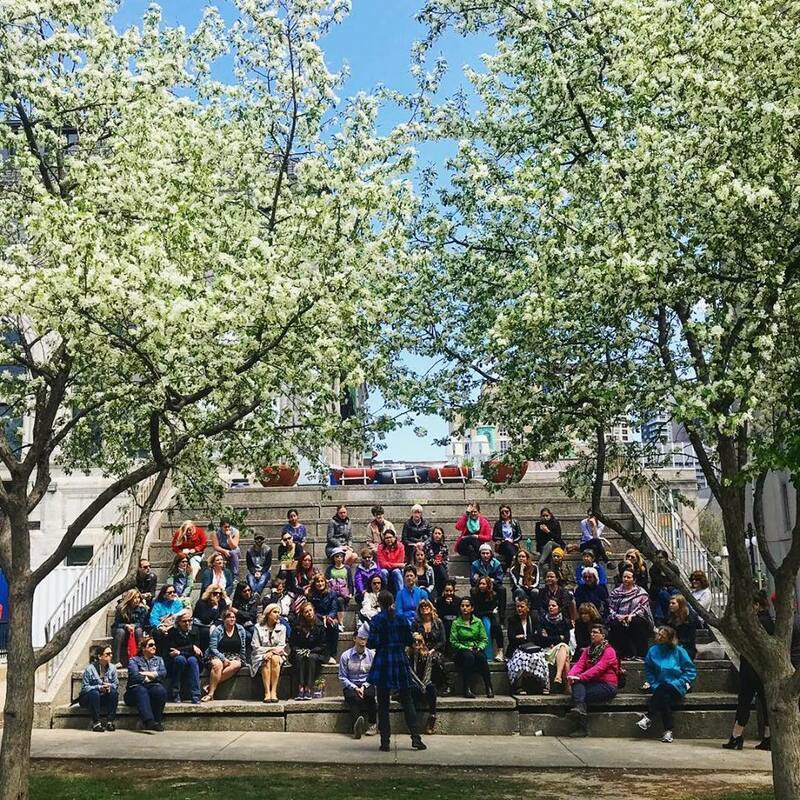 Members of the university's Employee Assembly voted earlier this month to support staff involvement and participation in campus climate change literacy policy and programs, in an effort to ensure the success of the Climate Action Plan. Highlighting the scientific consensus of global climate change, the resolution notes the impact of climate change on employee happiness and well-being. Climate change literacy was defined in the resolution as an understanding of an individual’s influence on climate and climate’s influence on individuals. The Rutgers Institute for the Study of Employee Ownership and Profit Sharing is a global research hub that will expand the school’s existing research programs to explore new collaborations that aim to build a more inclusive economy for workers and their families. 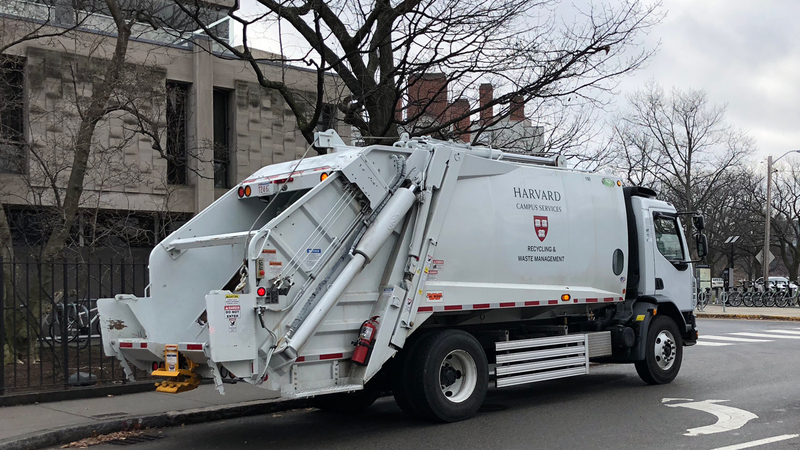 After a successful pilot to improve pedestrian and cyclist safety, university fleet technicians have begun installing side guards on all existing, eligible Harvard-owned trucks, including box trucks, and solid waste and recycling trucks. Harvard has also begun asking vendors that drive large trucks to campus to install side guards on eligible trucks as quickly as possible. 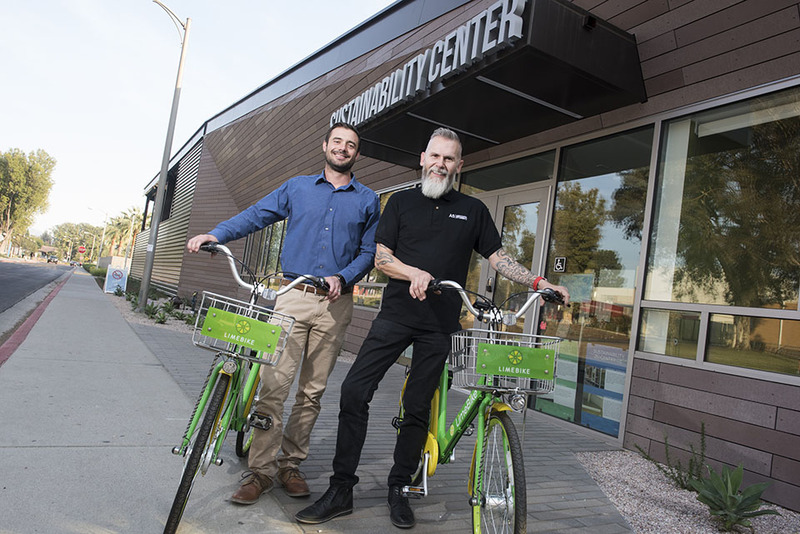 In mid-January, LimeBike delivered 400 bicycles to the campus that are now part of a rental program to provide an alternative mode of transportation to the campus community. There is no membership fee required, however the rental fee is 50 cents per half hour with no time limit. Solar-powered GPS units will allow the university to determine where bike lanes are most needed. The new Center for Diversity, Equity and Inclusion is a student-driven initiative that promotes and reinforces fundamental values of civic engagement and leadership, and international and multicultural understanding in a space safe for all students, faculty and staff. Dr. Brian V. Xiong has been hired as the center’s coordinator. The university has announced that the 2017–2019 pay plan will be distributed to faculty and staff in phases, with the first two percent increase taking effect in July 2018 and the second two percent in January of 2019. Other recent compensation changes designed to benefit some of the university's lowest-paid workers included an increase in the living wage standard to $13.01 per hour beginning Dec. 24, 2017, and an increase in the differential pay for employees working night and weekend shifts. In an effort to divert 95 percent of campus waste from municipal landfills by 2025, the university recently formalized its commitment by publishing a new waste management policy that engages the entire campus in the push to enhance recycling efforts. The new policy calls for adding additional collection stations, making existing stations more efficient and creating a new team to assist with removal of compost and recycling at campus stations. Adjunct faculty members at the college in Florida recently voted to form a union affiliated with Service Employees International Union. The new unit has approximately 1,700 eligible members, and some 92 percent of those who voted approved of the union bid. The minimum wage for student workers will go from $8.44 an hour to $11 an hour, starting Jan. 1, Rutgers President Robert Barchi said in a letter to students. The 30 percent raise affects more than 13,000 students who work in dining halls, libraries, offices and other facilities on the New Brunswick-Piscataway, Newark and Camden campuses. (U.K.) Two weeks after protesters asked the university to pay a living wage, the university agreed to do so for the 2017-18 academic year. The agreement guarantees the lowest-paid staff 8.75 pounds ($11.72) an hour. 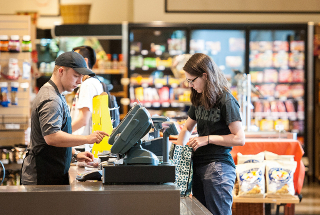 Based on results of a Cornell University survey indicating a high percentage of students were regularly without access to food, the Center for Transformative Action launched Anabel's Grocery to provide nutritious, affordable food that includes low-priced meals, daily meal kits and fresh staples. The store is student-led and has served over 1,000 students in the first semester of operations. The store also offers educational programs around quality food, food choices, wellness and positive social change. 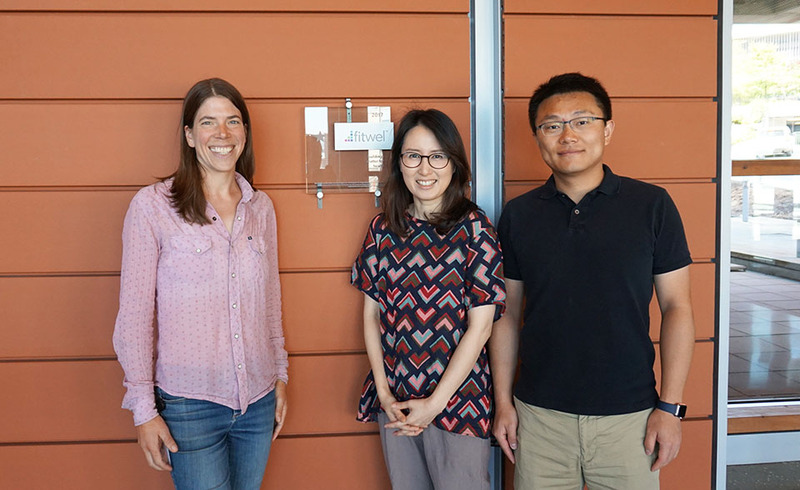 Several buildings on campus now use Aircuity, a technology that monitors the ventilation rates of buildings for optimal level of airflow to save energy and maintain air that contains low contaminants. 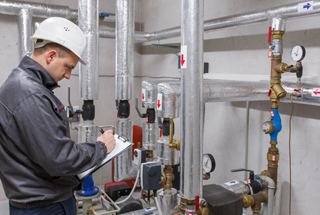 It is estimated that Aircuity can reduce lab energy use by 40 to 60 percent. 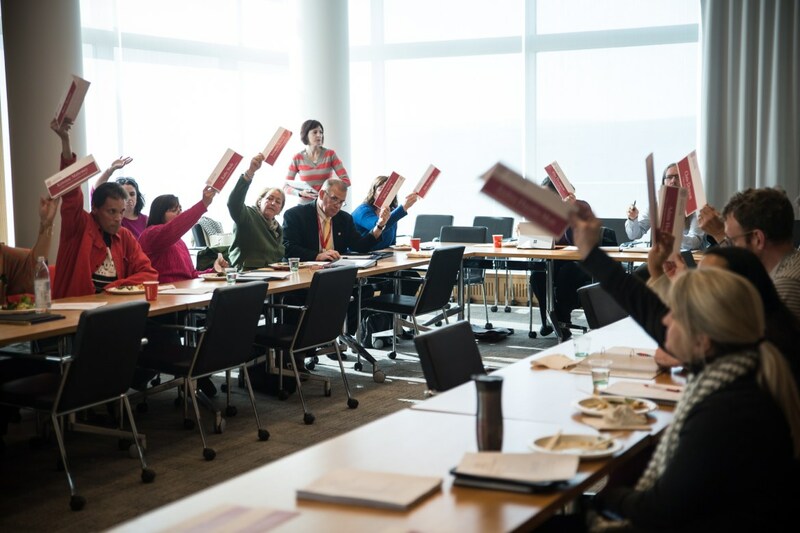 Some 68 percent of adjunct professors who voted recently approved of the bid to form a union affiliated with Service Employees International Union. After an agreement was signed by the administration and non-tenure track faculty that allowed for a free and fair election, adjunct faculty, full-time non-tenure track faculty, and postdoctoral fellows recently voted 16-to1 to join Service Employees International Union.